Here you can find a small list of the customers using CommuniSite to manage their content and show themselves off to world. 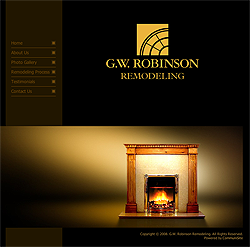 GW Robinson is a local developer and remodeling firm in the North Central Florida area. 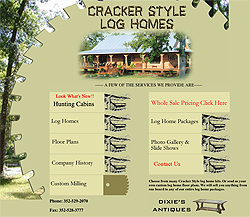 Cracker Style Log Homes uses their site to showcase their custom built log homes, floor plans, lumber and sawmilling services. 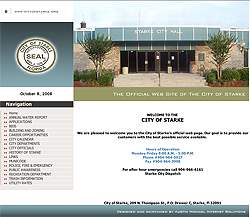 The City of Starke, FL needed a website to list emergency city information, community calendars and more. They turned to CommuniSite and had their website built and running within a day. Scissors Hair Salon is committed to helping you look and feel your best. 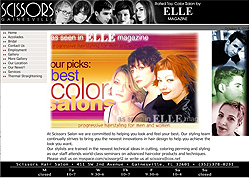 Scissors Hair Salon exhibits the latest styles, provides contact information and service descriptions on their CommuniSite. 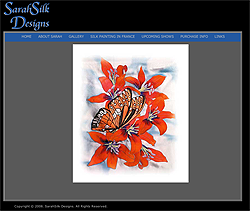 Sarah Pierce began investigating the time-honored art of painting on silk in the year 2000 and was immediately captivated by its allure and possibilities for artistic expression. She now uses CommuniSite to communicate upcoming shows, purchase information and designs to the public.